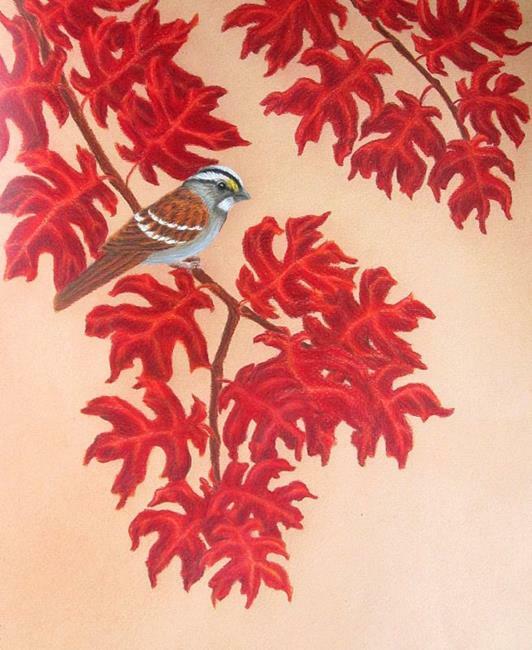 This is a white-throated sparrow on an oak branch with autumn colored leaves. This species is native to eastern North America and stays there year round, so is easily seen in all sorts of weather. Done on tinted paper, the leaves colors weren't exactly the shade I was aiming for, but perhaps the brighter colors make it more cheerful? Was one of my entries juried into the Westlake-Westshore Annual Show in 2014.